On 3 May 1891, 127 years ago, the Museo dell'Opera del Duomo was inaugurated in Piazza del Duomo in Florence. It has been more then a century since its 'birth' and, after extensive renovations and extensions, going on since 2015, the Museum has been completely redesigned. 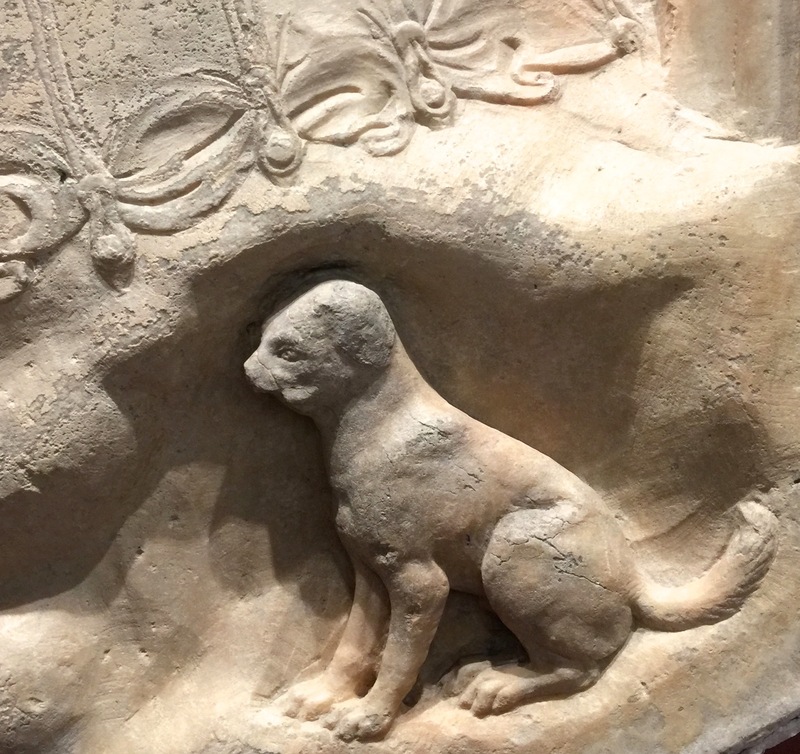 The link below takes you to the museum's Facebook page to a fabulous video that shows the wonderful spaces and the many artistic wonders in detail. 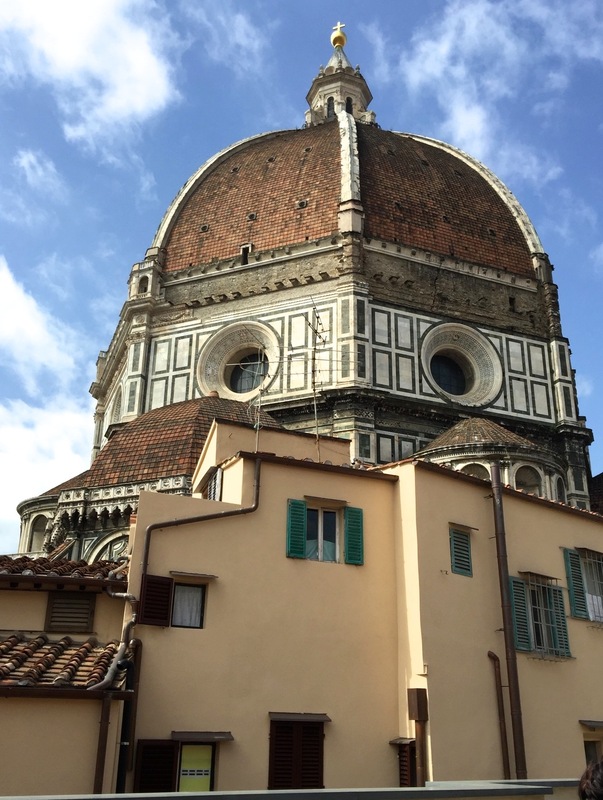 The "Opera di Santa Maria del Fiore" was founded by the Florentine Republic in 1296 with the participation of the city's ecclesiastical authorities to oversee construction of the new cathedral and its bell tower. Once the church was consecrated on 25 March 1436 and its architectural structure was complete, the Opera's primary task became the conservation and embellishment of this complex of monuments. 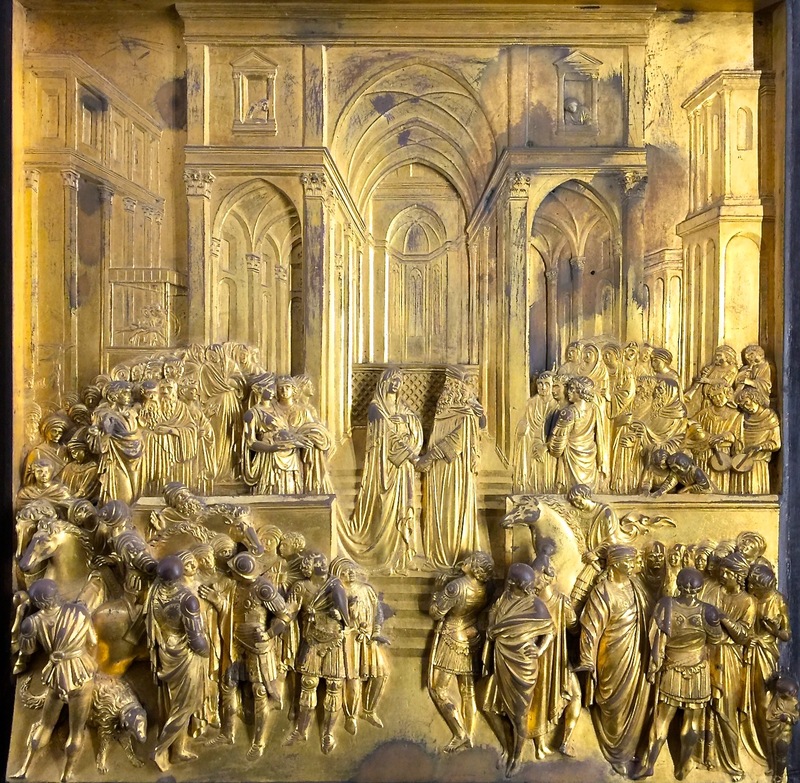 The baptistry of San Giovanni came under its jurisdiction in 1777 and the Museo dell'Opera di Santa Maria del Fiore, set up to house works of art which had been removed from the cathedral and baptistry over the centuries, joined it in 1891. 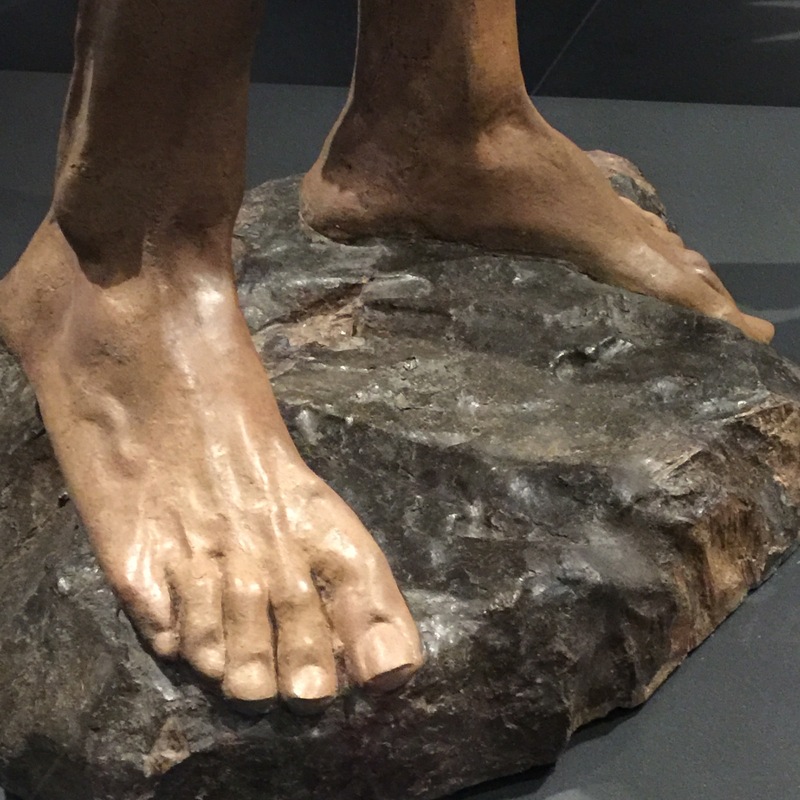 Many of the original sculptures that were made specifically for the exterior of the cathedral now reside inside the museum, a safe refuge from the inevitable pollution. 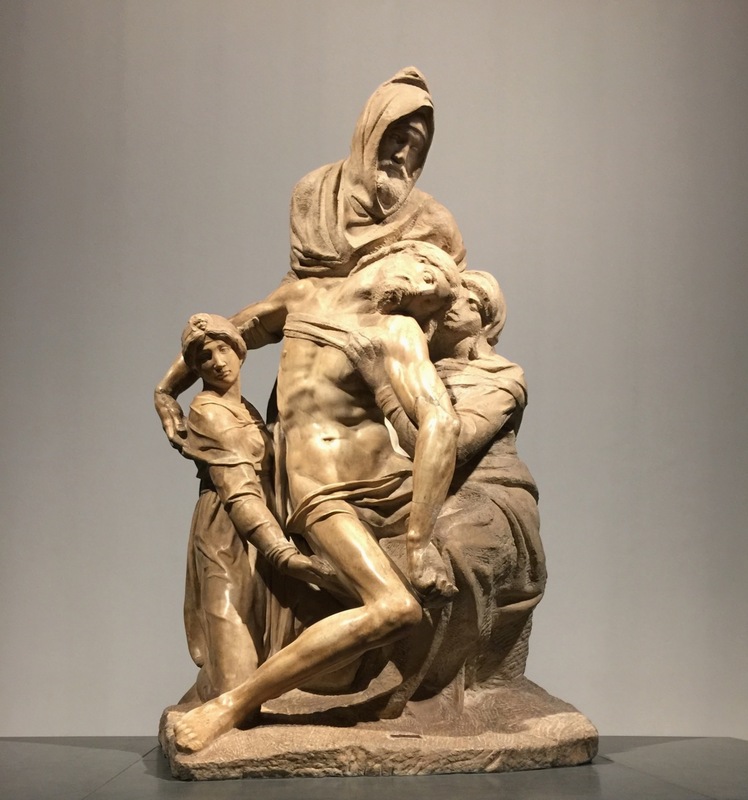 What this creates is an amazing opportunity to view in one collection, more than 750 works spanning nearly 1,000 years, spread across the monumental 6,000 sq m of floor space, divided into 25 rooms, ranged over 3 floors. What it also means is that you can get close, have perfect lighting and truly see what the artist saw as the work was being created - so special. 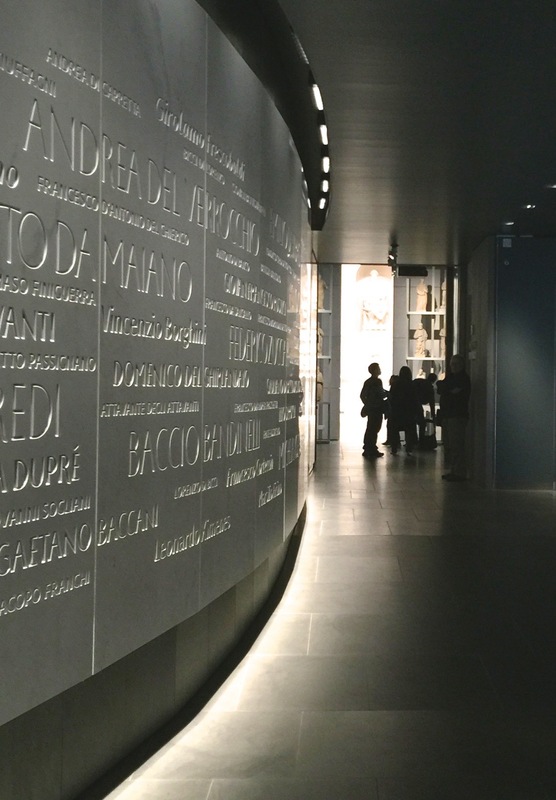 What particularly struck us on a first visit was the commemorative wall noting literally 1,000s of people who all contributed in one form or another to the complete works, including artists, architects, musicians, humanists/philosophers, artisans and workmen. 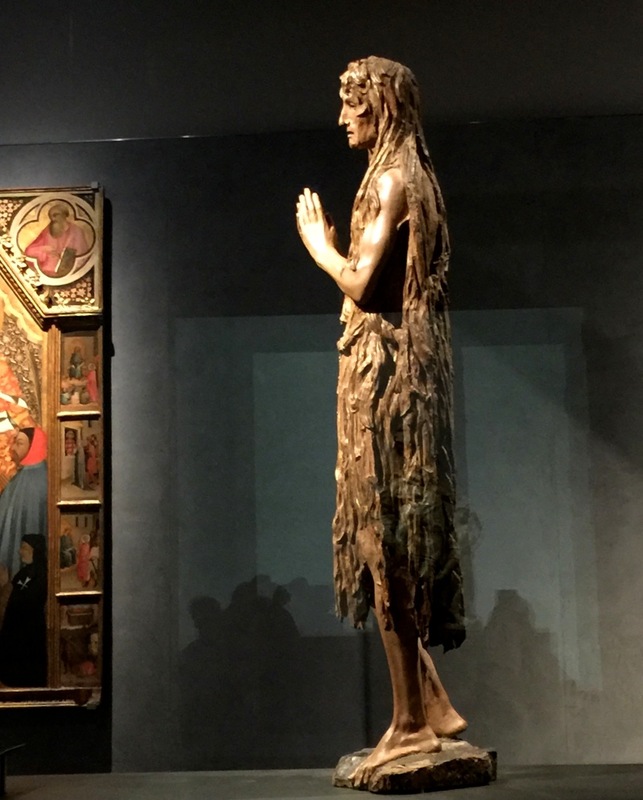 Through the sculpture gallery, all on its own a testament to the wealth of the city through the sheer abundance of work, it opens into the most fantastic of spaces, the Salone del Paradiso, where the entire facade of the cathedral is reconstructed. 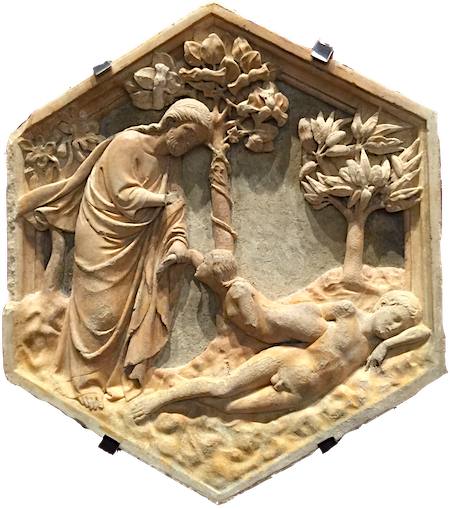 The name relates to the area between the baptistery and the entrance to the cathedral, felt to be a paradise for those newly baptised people emerging into the space and, hence, Michelangelo's name for those stunning doors by Ghibherti that also face this space as the "Gates of Paradise." 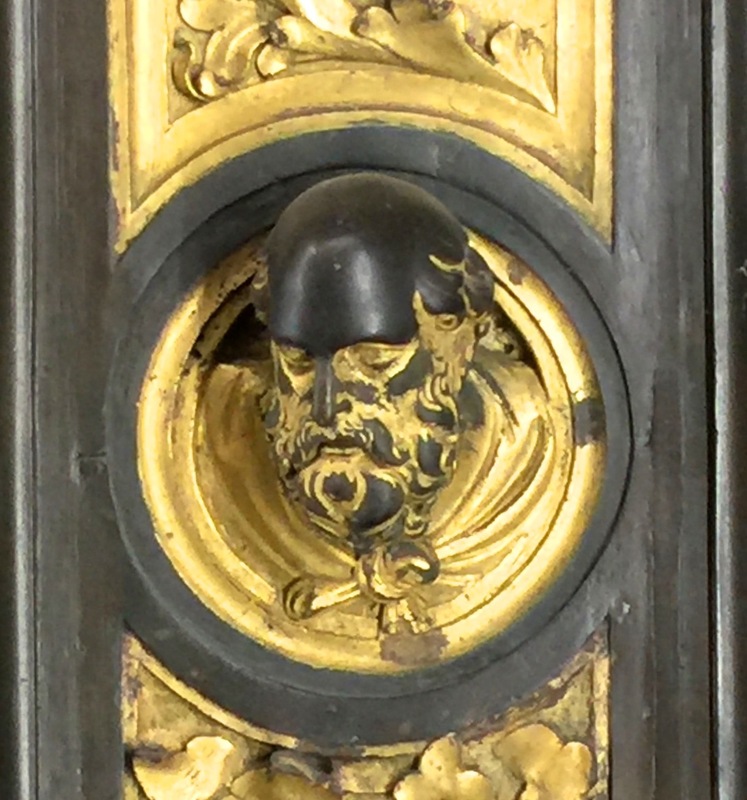 In this room, opposite the facade are the original Ghiberti doors. How amazing to be able to stand so close and read all the detail and appreciate the incredible skill of this master. 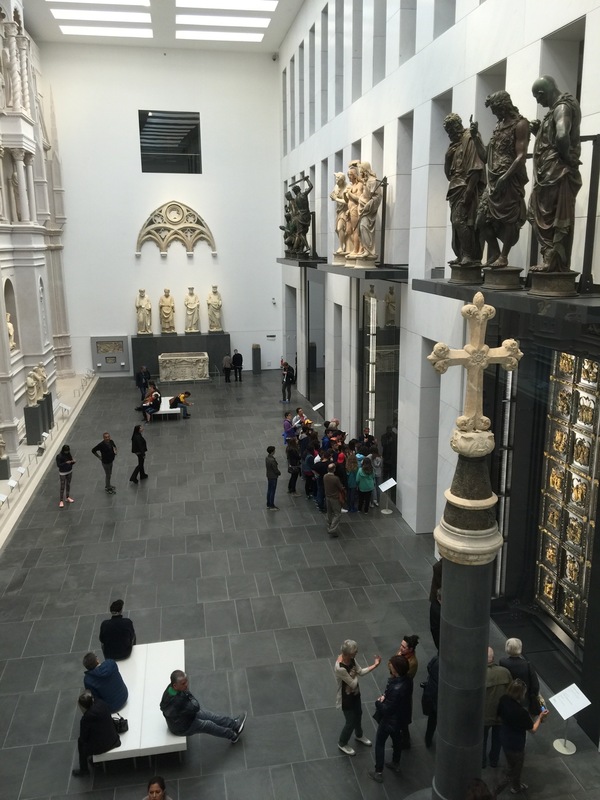 Just around to the right from this room are 2 rooms each dedicated to a masterpiece of the collection: Donatello's wooden carving of the "Penitent Maddalena" and Michelangelo's "Pieta" thought to have been intended for his own tomb. The Gallery of the Campanile (Bell Tower) is one of the most fascinating. It is all very well to study what each tile is and to trace them from the ground, squinting up into the light to make sense of what you know is there. But to be presented with these same images - at eye level - is nothing short of breath taking. 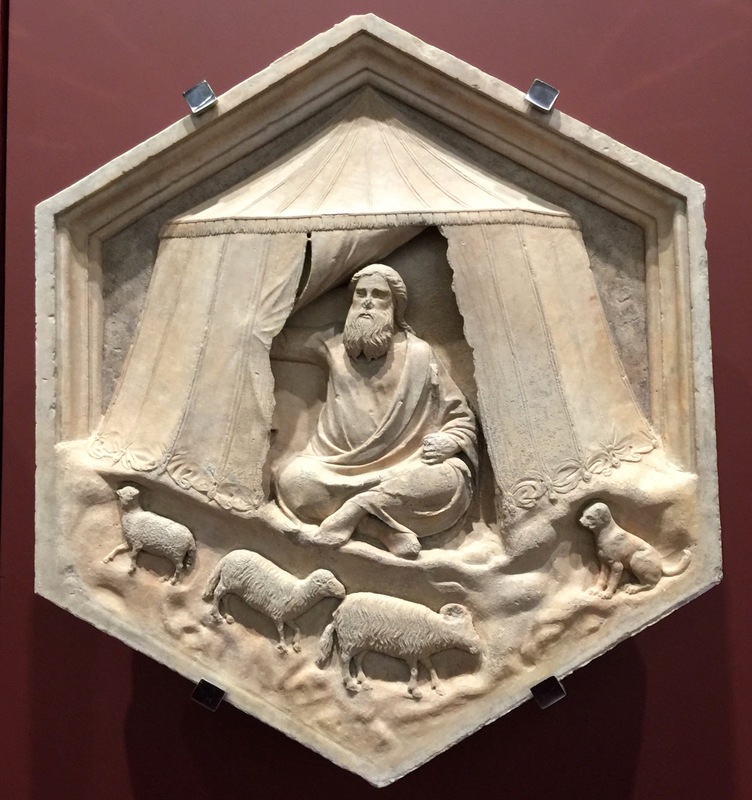 The hexagonal tiles (reading left to right in the same order as on the bell tower) with the diamond shaped lozenges above, beginning with the creation of man and continuing with a depiction of daily activities, then above to the planets regulating the course of his existence, along with the virtues which fortify him, the liberal arts which educate him and the sacraments which sanctify him. Just beautiful in all its detail. 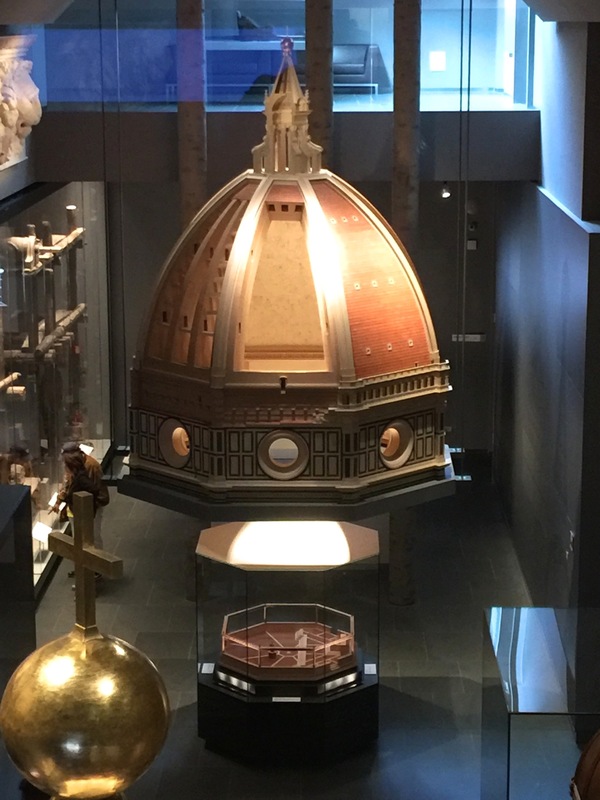 In behind this gallery is the one devoted to Brunelleschi and the famous Dome. At this point you will probably welcome the seated area where you can watch a reconstruction of the creation of this fantastical dome. 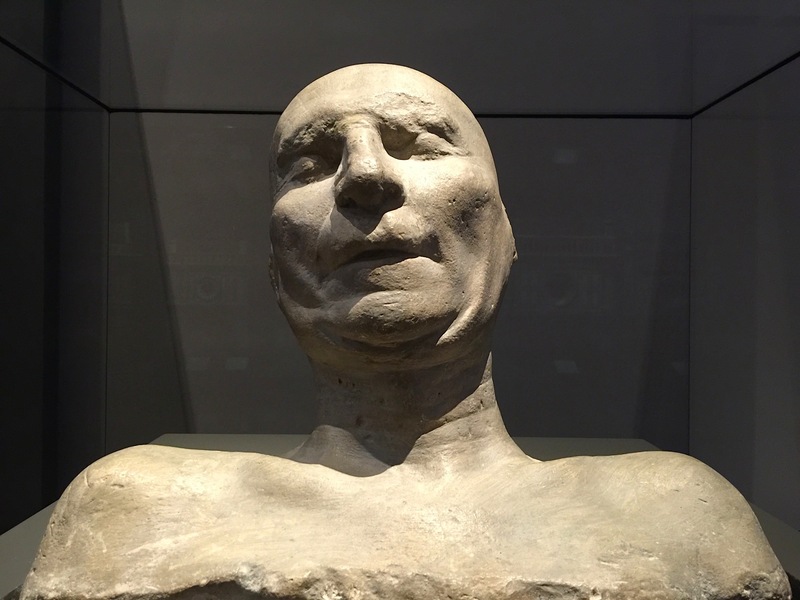 And see the death mask of this genius of a man himself. Upstairs again (or take the lift) is the gallery of the large wooden models submitted for consideration for the new facade. Through the door to this "secret" terrace for an unusual perspective of the dome where you can appreciate anew the true wonder of its creation. At each level of these 2 upper floors there are windows to glimpse displays from different angles and perspectives, adding to the overall effect and appreciation of the masters' works. It is simply, a brilliantly conceived show space. 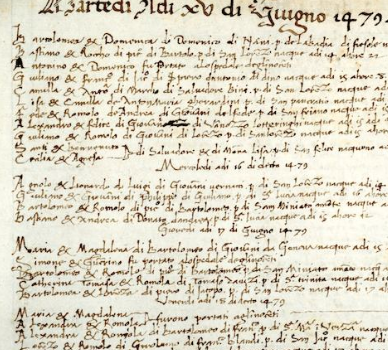 While written records of the earliest decades have been lost (although there is extensive indirect knowledge of them), the earliest document in the archive is a book from the middle of the 14th century containing the memoirs of Filippo Marsili, the Opera's general manager at the time, but after that the collection continues right on up to the present day without a break. The documents are divided into several different categories such as regulations, deliberations, correspondence and proceedings, accounts, inventories and so forth. 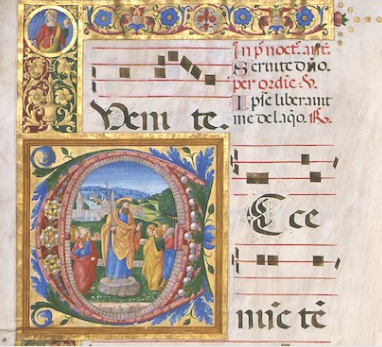 As well, the archives hold a celebrated collection of sacred music, comprising the liturgical and music books used for Mass and divine service in the cathedral and baptistry over six centuries (from 1300 to the present day). Of universal renown are its choral codices, which contain not only a rich repertoire of Gregorian chant but also a fully-fledged art gallery thanks to the countless wonderful illuminations illustrating their large parchment sheets. In Via dello Studio, a stone's throw from Piazza Duomo, there is a place where you can still breathe in the atmosphere of the old Florentine art workshop. Passers-by peeking through the glass door can see a large room "furnished" with the kind of machinery you might find in any modern craftsman's workshop, such as a milling machine or a mitre saw, but also older manual tools dating back to a few centuries ago, such as stonemason's gradines and an assortment of chisels, marble drills and hammers identical in every way to those used by the artists of the Renaissance. 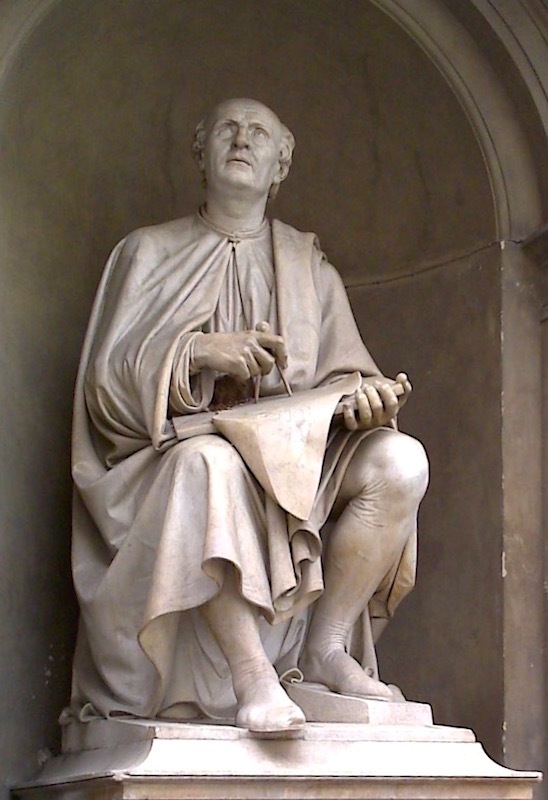 This laboratory is where the Opera del Duomo Workshop is now located and is worth a diversion. 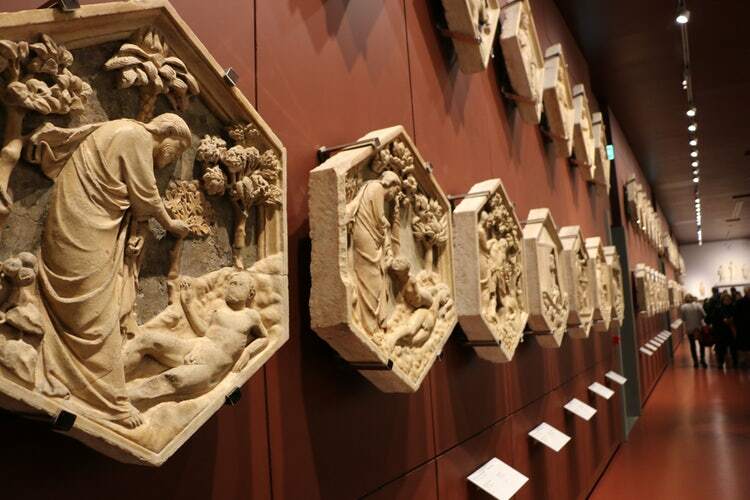 Finally, the link here is to a marvellous video made by the Museum that will give you an even greater view of what there is to see and entice you more to make that visit when next in Florence. Link to the Cathedral Museum's Facebook Page & video Once on the page, turn the sound up and hit the icon to "play"